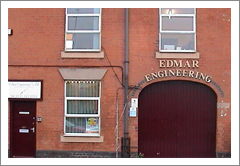 Edmar Engineering is a specialized precision engineering company based in Birmingham, West Midlands, providing machining and manufacturing services for clients locally across Birmingham, Wolverhampton the West Midlands and Staffordshire as well as nationally across the UK.. Founded in 1945, Edmar Engineering is a well-established, family run business. 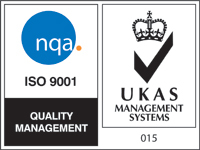 We employ a highly skilled work force of precision engineers, able to work to your exact manufacturing requirements. This, together with our effective technical and sales team, has earned us a longstanding reputation for excellent quality and service at very competitive prices. Our core business is precision engineering, specialising in small quantity machining, prototypes, 1 offs, jigs, fixtures and special purpose machines. From our manufacturing facility in Birmingham, we offer all types of support from small one off jobs, to batch work and breakdown service, to complete project management. 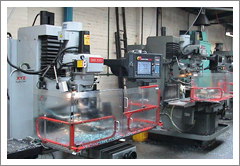 Our capability includes Conventional & CNC Milling, Conventional Turning, CNC & Auto Turning, Precision Grinding & Wire Eroding. We also offer a complete precision engineering service which includes, grinding, fabricating auto turned parts. We have also recently invested in one CNC 3D CAD/CAM . Please click on the services tab for a complete list of our engineering services. As a business we work for all industries including aerospace, nuclear, food industry, automotive and many service sectors. Our location in the West Midlands is also ideal for clients locally in Birmingham, Wolverhampton and Staffordshire and is also easily accessible from all parts of the UK. To discuss our full range of precision engineering services and your requirments, please call the team on 0121 327 1022 and we will be happy to help.